We know it sounds sort of primitive to take a pot and pour saline into your nasal passages, but it’s a great way to alleviate sinus discomfort from illness or allergies. Once you’ve decided to try a Neti pot, why not purchase the one that supports humanitarian, environmental and educational projects worldwide? The Himalayan Institute first introduced the Neti pot more than 35 years ago, based on a technique used for thousands of years in Ayurvedic medicine to alleviate sinus and allergy problems. Its use has countless health benefits even if you’re healthy. It soothes winter-dry nasal passages, for example, and allows for freer breathing during yoga and other spiritual practices. The real story here is what the Institute does with the proceeds from their sales. Their current initiatives include the development of sustainable biofuel in India and Africa, and a newly established community center in Cameroon. So, yes, you could buy a Neti pot from your local drug store, and it will work to irrigate your sinuses. It will not provide opportunities for rural empowerment, training and social regeneration. The Himalayan Institute is truly offering us an opportunity to breathe easier while making a difference. In effect, you’re helping others to breathe easier, too. 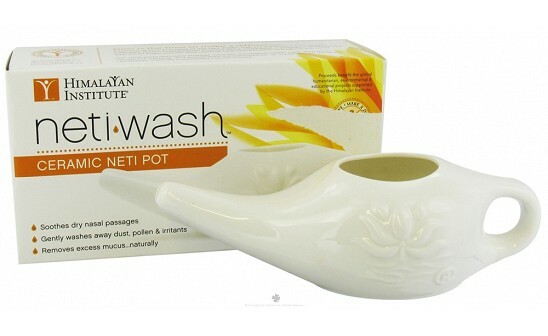 We are thrilled that Daily Grommet has chosen to feature Himalayan Institute's Neti Pots. We know that you may have questions and have available Dr. Carrie who serves as the Medical Director of the Himalayan Institute Total Health Center and who lectures nationally on ayurveda and holistic health. She has been recommending the Neti Pot to her patients for over 10 years. We also have Travis who is knowledgeable about all aspects of the Neti Pot and the Himalayan Institute. We look forward to your questions and comments! Okay, I'm afraid to use a Neti Pot. Does it hurt? Will I be able to breathe? Our neti pot and method of nasal irrigation is designed to cause no discomfort. The saline solution should match the salinity of your body. Think about your tears, they do not irritate or hurt your eyes. Watch the video for more detail... but you can breath throughout the entire process. I demonstrate this all of the time at trade shows! @bg - It doesn't hurt worse than a sinus headache, that is for sure! It does take some practice tipping your head at just the right angle. It is a weird sensation but I wouldn't say that it hurts. If you suffer from allergies, sinus headaches, sinus pressure the benefits far outweigh the slight, slight discomfort of the rinse (before you get used to what to expect!). I was terrified to use the Neti pot when I first tried it. I thought I was going to drown. (Hmm, interesting headline news, yes?) That was over 17 yrs ago. I've been doing it daily myself, and have been teaching patients in my office regularly since then. It is really simple - you can do it! There should be NO PAIN with the irrigation. As Travis pointed out, the solution is the same as tears. If it hurts or is irritating at all, it means that your solution is too salty OR not salty enough, and you need to adjust it. Dr. Carrie - I use a Neti Pot when I'm feeling pain from sinus pressure but I don't use it every day. If I used it every day would I prevent the sinus pressure in the first place? Is there a point where it's too late to use a Neti Pot for relief of sinus pressure? Thanks! It took me a few times hearing Dr OZ cheer the benefits of the Neti Pot before I tried it out. Daily use of the Neti pot definitely PREVENTS sinus problems and even colds/flus. Keeping the openings of the sinuses clear of mucus is what keeps them from getting infected. The only time when using the Neti pot may be non-productive is when your nose is SO clogged that the water can't get through. The solution, drink more water, and try again later! I was plagued with repeated sinus infections for many years. I always wound up on antibiotics, which led to yeast infections, etc. I was miserable! I started doing nasal irrigation about a dozen years ago and haven't had one since. The key is in keeping the passageway clear and moist and this is the only way to do it. (If the mucosal surface is not kept moist, fissures or cracks can develop, which can become a good place for bacteria to set up shop.) I haven't used this particular product but I've heard wonderful things about it and heartily recommend it to anyone. Thanks for your validation of how useful the Neti pot can be! I first heard bout the Neti Pot from a physician friend. Given what's been happening with the swine flu, he and his family now of gargle twice a day with Listerine and use the Neti Pot daily. @Deb - The Neti Pot definitely can help us not catch a cold or flu. And one of the great things about it, is that you can't overdose. Nasal wash can be repeated several times a day if you have lots of congestion; or any time you've been exposed to a polluted environment or folks who are sick. A neti pot works wonders on my sinuses whenever they get backed up. I have one I bought several years ago in Nepal, and I love it. I should probably use it every day as a preventative treatment, but it also works fine as an emergency treatment when my sinuses start acting up! It seems "gross" or just plain odd to pour salty water through your nostrils, but it's very simple and very effective once you get over it! My niece, who is a scientist and has travelled to India told me about the Neti Pot. She swears by it as well. I am getting less and less interested in taking cold medicine and would like to learn more about natural alternatives. I may try this. @MaryAnne - I agree - if there's a way to feel better without drugs it's a good thing! I purchased the neti pot about two years ago after watching Dr. Oz--i will describe it's effectiveness for me as so-so..I am never consistent-sometimes it flows beautifully. Sometimes it causes my head to experience the worse pain--I almost feel like I'm going to faint. Can anyone tell me what I might be doing wrong? @E Collins - I have sent Dr. Carrie a note and hopefully she'll be able to stop back with some advice for you. It works so well for so many, it would be great to get it to work consistently for you as well! 2) Salt concentration. The saline can sting if it is either too salty OR not salty enough. A heaping quarter teaspoon of medical grade or kosher salt (JUST sodium chloride) is usually the right amount. 3) Congestion. If you are really stuffed up, and the water can't get through, let it flow from your nose and out your mouth. Or just stop for now and try it again later when your nasal obstruction is clearer. @ME - Use it daily and it will help relieve the symptoms of your allergies without medication. I will have Dr. Carrie or Travis come back and let us know about migraines. The neti pot is notorious for helping with allergies. It washes away the “allergen” (the inhaled particle your body has a reaction to), so many allergy symptoms abate or resolve with regular use of the Neti pot. Migraines are another matter. Most migraines are not caused by sinus pressure or congestion, so the Neti pot would be unlikely to help (though it wouldn’t hurt!). 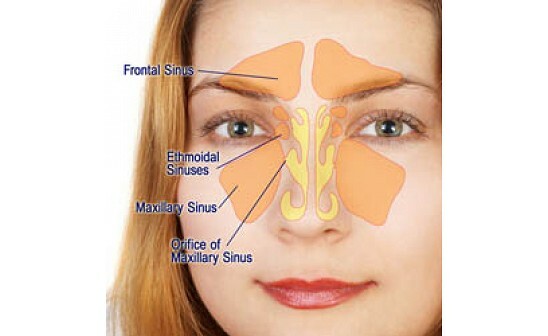 I have always had sinus issues-- nothing major, but lots of sinus headaches & pressure. Since starting to use the Neti Pot, this has totally cleared up. There is a feeling of immediate tension release in that area. My allergy symptoms have also improved considerably. The first time using it feels strange, but after that it becomes comfortable. Definately recommended. @Jen S: Thank you for sharing your experience. 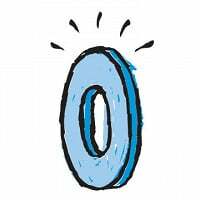 Isn't it great to get real relief without medication? @Bonnie Starnes: I have sent your great question on to Dr. Carrie and Travis. I will let you know. @Bonnie Starnes: The neti pot is NOT an ear wax removal technique. Sometimes our ears feel plugged from nasal congestion – it would help that. If you decide to do nasal irritation, please closely follow the instruction on netipot.org. We know it sounds sort of primitive to take a pot and pour saline into your nasal passages, but it’s a great way to alleviate sinus discomfort from illness or allergies. Once you’ve decided to try a Neti pot, why not purchase the one that supports humanitarian, environmental and educational projects worldwide? The Himalayan Institute first introduced the Neti pot more than 35 years ago, based on a technique used for thousands of years in Ayurvedic medicine to alleviate sinus and allergy problems. Its use has countless health benefits even if you’re healthy. It soothes winter-dry nasal passages, for example, and allows for freer breathing during yoga and other spiritual practices. The real story here is what the Institute does with the proceeds from their sales. Their current initiatives include the development of sustainable biofuel in India and Africa, and a newly established community center in Cameroon.